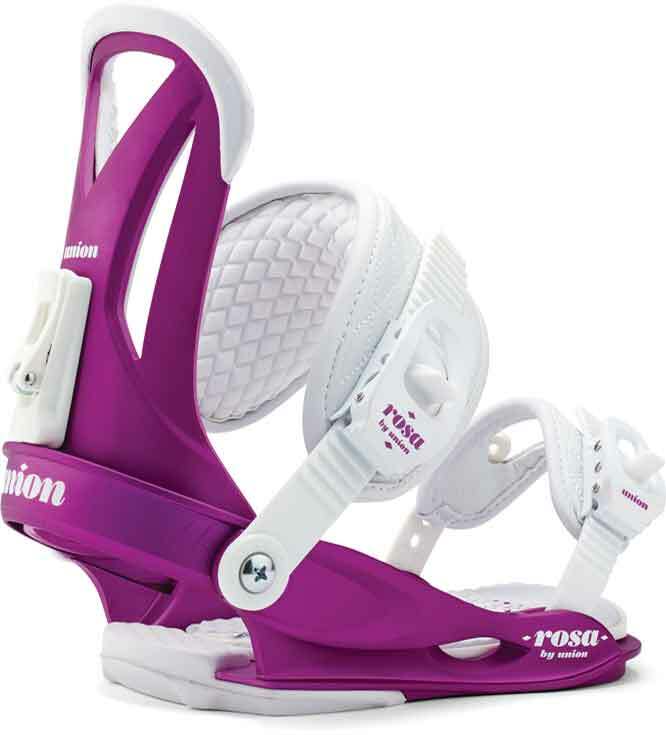 The Union Rosa is a solid entry-level binding that can take you a long way on your journey becoming a competent rider. 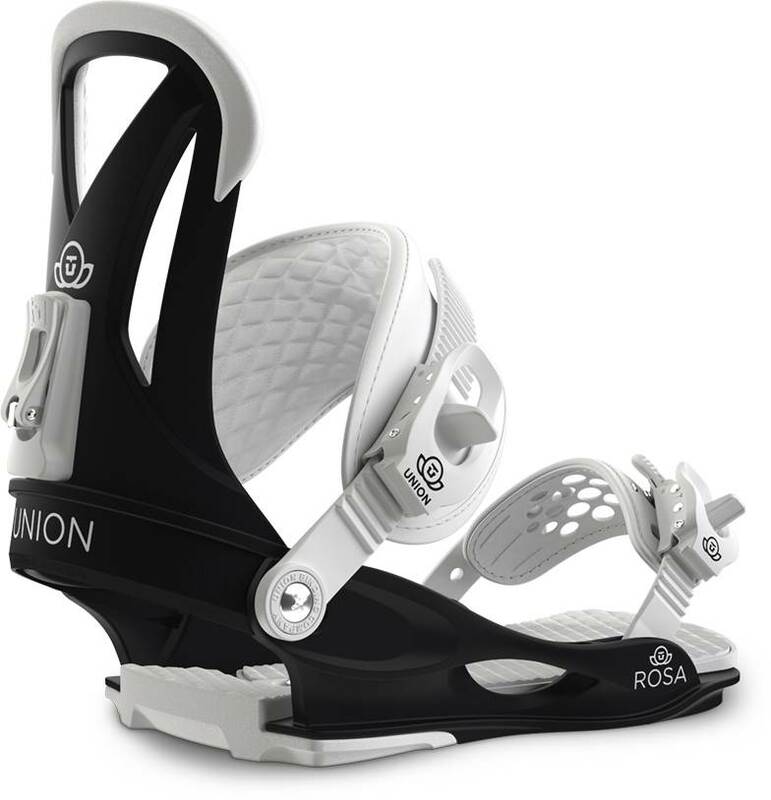 Many bindings in this price point have reliability issues and aren’t recommendable but the Union Rosa should hold up well. The 2019 Union Rosa changed out the washers that connect the heel loop, high back, and ankle straps so now it doesn’t come loose. Flex: The Rosa has a nice soft flex that makes for a ride that’s a little more responsive than what you would think if you were playing around with it in the shop. It’s pretty soft when you twist it and then it’s more rigid when you pull back. 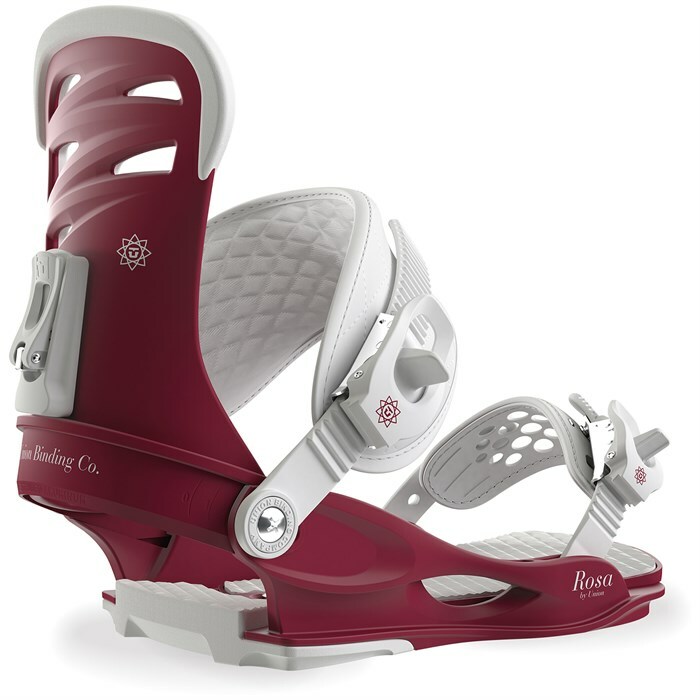 Adjustability: Some might not like that the ankle strap can’t really adjust up or down like it can with other bindings. 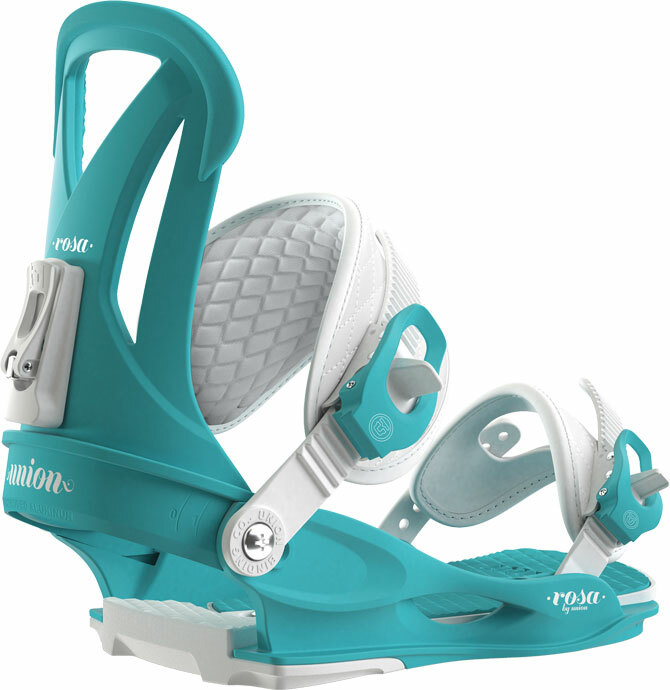 This is because the heel loop slides in or out according to your boot size. 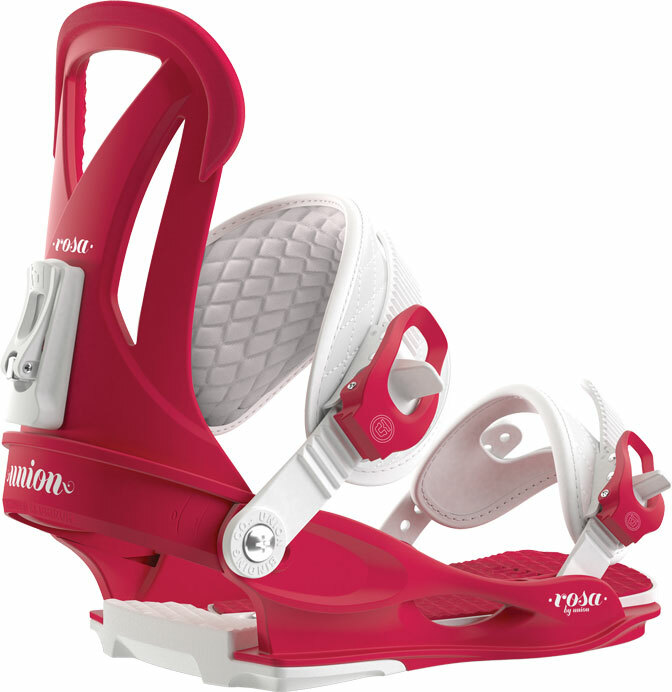 The saving grace and the most important part of adjustability is its ability to dial out the boot for your exact size. 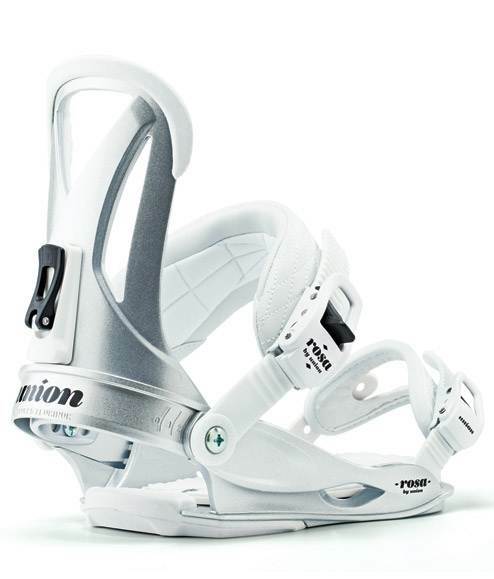 So just take the time to get the heel loop centered to your boot and other than that, the rest is pretty much just screw in your bindings on your board in and go riding. Comfort: Pretty comfortable. 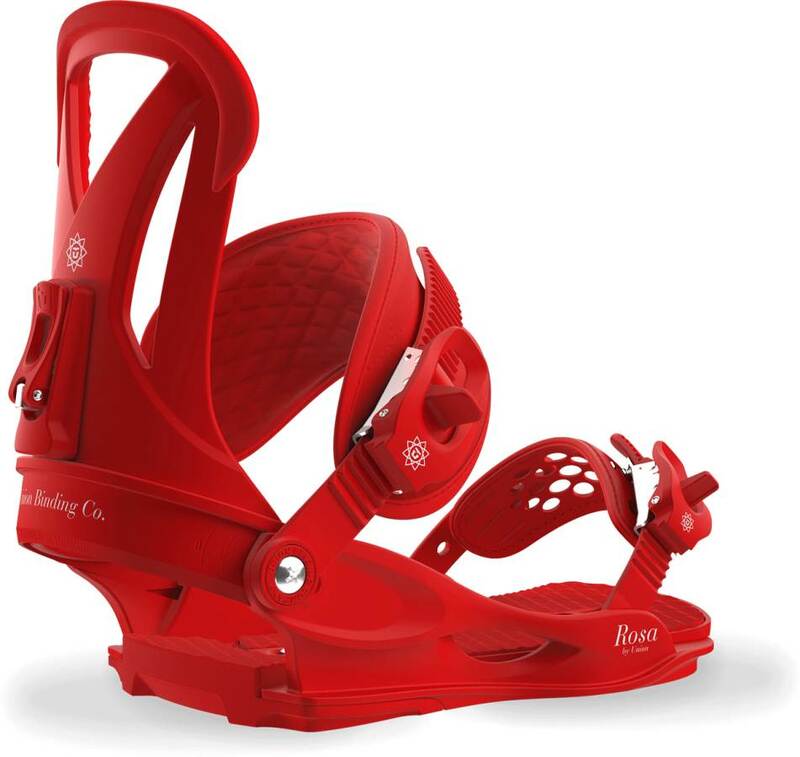 Noting that screams cush but it also has minimal to no pressure points if you have good boots. 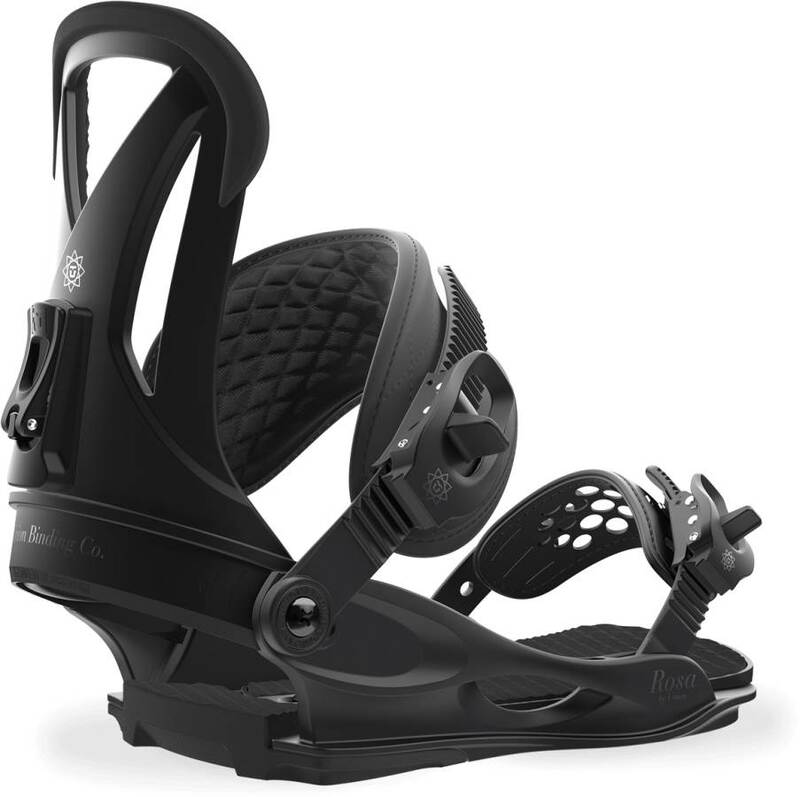 Heel-Toe Response: Really good response for such a mellow binding and because of that you can pair it up with a lot of boards. It’s got a smooth transition from edge to edge. Buttering: Pretty good for a butter and press bordering on great. There is a nice reduced dead spot under foot so most of the contact with the board is from the disc. 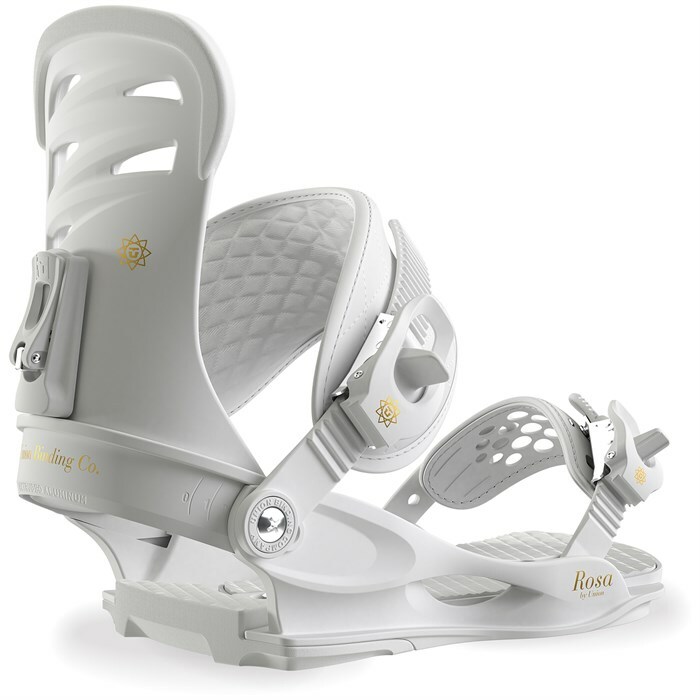 It allows the board to flex pretty well underfoot and if it had some larger ankle straps on the outside it would flex the board lengthwise really well. Boot Support: There is moderate boot support. It’s a nice balance between support and freedom. You can transition well edge to edge for driving turns and also have some freedom to tweak it out. 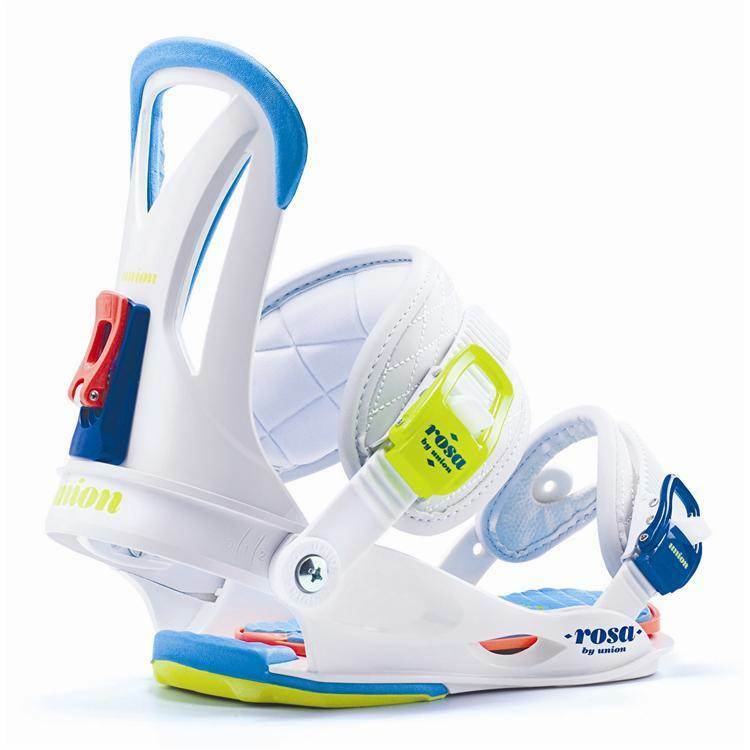 The toe strap is better this year too and it holds to the boot better. 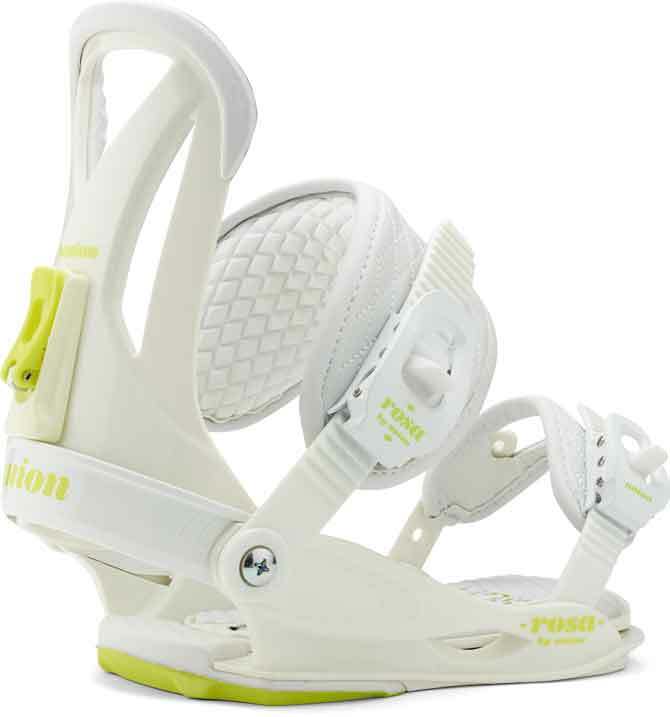 Ratchet System: The 2014 Rosa has a nice change to the toe ratchet. 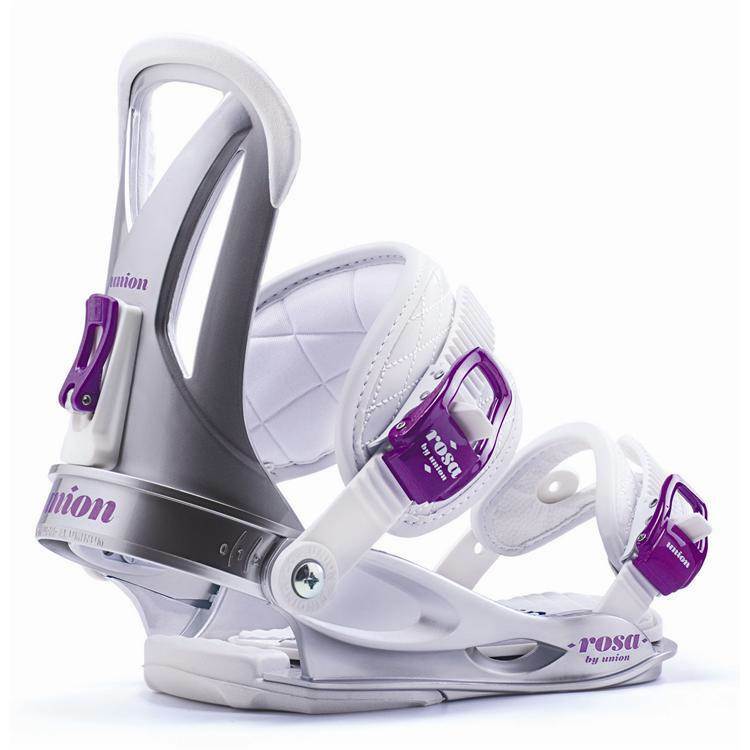 It’s not a mini version of the ankle ratchet that makes for an easier release compared to the 2013 model. Most complaints came from the toe and it’s nice to see them do something about it. It’s much less sticky coming off and it’s a nice improvement this year. The addition of that lever makes 2014 the call. 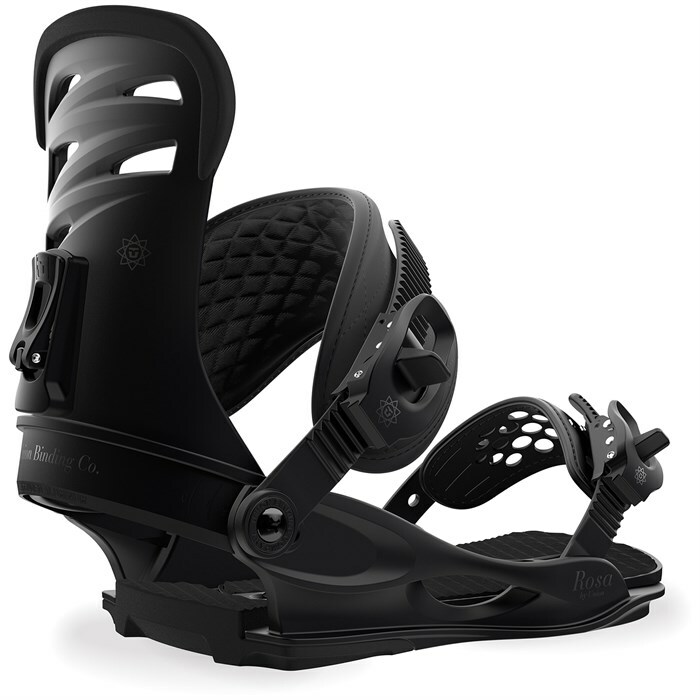 Shock Absorption: Supper padding that can handle an awkward landing no problem. Very friendly on the body. 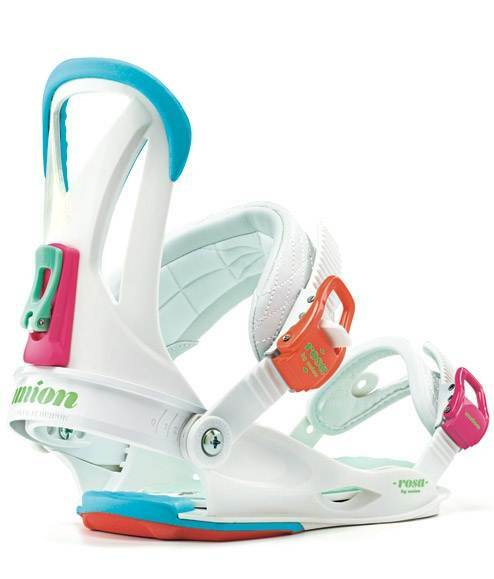 Unions Toe straps can be a bit sticky and especially so for those that like to crank em down tight. For some this is a big problem and for others it’s not that big of a deal. 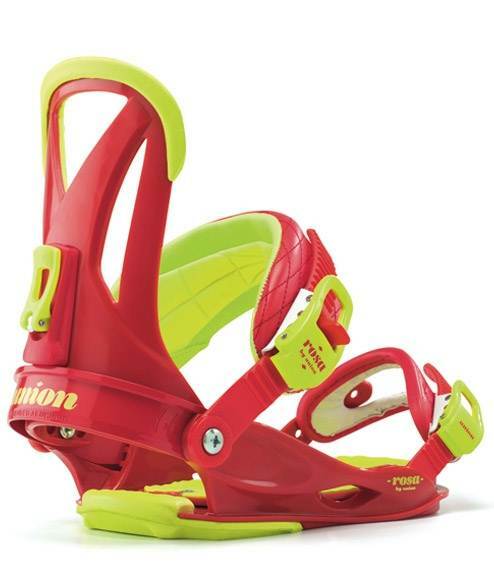 Until Union addresses this issue here are some pointers on how to make the toe strap less sticky so you can enjoy the bindings better qualities. 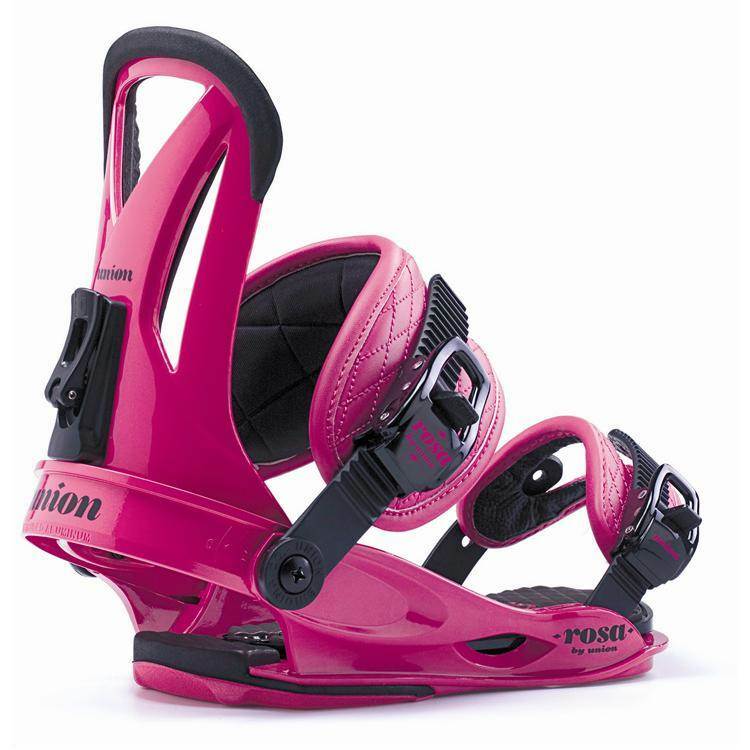 We try to get as many images of the Union Rosa, but forgive us if they're not all there.